Kauri Investments Ltd. has received its city development permit to convert a vacant, four-story warehouse in Capitol Hill’s gentrifying Pike-Pine corridor into 26 art-loft condos. A $3 million conversion of the now-windowless shell of a structure at 11th Avenue and East Pike Street will likely begin in January and finish 10 months later, said Scott Nodland, the Seattle-based residential developer’s senior project manager. 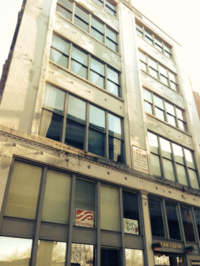 The artist live-work spaces “will not attempt to emulate Pioneer Square-type conversions. They’ll be more Manhattan-style industrial,” he said. That would match the Seattle neighborhood now. But don’t look away too long or the rawness will have vanished. The Harvard Market that opened at Broadway and Pike last year, featuring a QFC grocery store, brought a shine to that corner. Seattle Central Community College is expanding. Businesswoman Sarah Schuyler is converting an older building into 16 high-end condos close to Harvard Market and developer Val Thomas has about 50 more coming on line nearby. The Capitol Hill Housing Improvement Association has laid plans to replace the X-rated Apple Theater with apartments. The stylish Elysian brew pub has survived its first two years of business. AEI Music is rehabbing half of the former REI outdoor gear store while Moe’s, the post-grunge music club, closed and re-opened as the sleeker Aro.space. Even the “Roman columns” overlooking Interstate 5 are slated for a cleanup. But the final blow has to be the quintessential Pike-Pine dive, the Comet Tavern. Not only has it prohibited graffiti painting on its formerly “free wall” outside, but it recently painted over the vintage spontaneous artwork on its inside and cleaned off the swath of nicotine-stained dollar bills stuck to its black ceiling. Alas, Kauri may hold the line. It has even asked Cornish College’s design department to take a look at some graffiti on the fourth-floor walls of the 11th and Pike building with an eye toward using photos of the graffiti in promotional material for selling the condos. Kauri may retain that graffiti as an attractive feature in the lofts. The building’s last occupant sold shelves and other retail display equipment until vacating about four years ago. Kauri has yet to close on purchasing the building from owner Iris Rose, he said. No tenant has signed yet to lease, or buy, what will be the building’s first-floor retail space. Nodland said a coffee company has shown interest in the space. The building will also have 19 parking spaces underground and in back. Bentall Corp. has taken over property management of the 30-story Century Square office building in downtown Seattle, replacing CB Richard Ellis. Bentall hired CB’s Brian Wabik as its senior property manager for that building. Gary Carpenter, who heads the Vancouver, B.C.-based development company’s Seattle operations, helped develop Century Square in 1985 as a partner in a development company called Prescott. He ran CB’s Seattle office in between Prescott and Bentall. At the start of this year, Carpenter led Bentall into buying Prescott’s former prize jewel, the 44-story U.S. Bank Centre in downtown Seattle. Bentall recently promoted Nicole Lindell to senior property manager for U.S. Bank Centre. It also promoted David Vranizan to senior property manager on Bentall’s Eastside portfolio. David Zarett planned to convert the Prudential Building in Pioneer Square from art lofts to condos and sell them, but now he’s trying to sell the building instead. The Seattle developer has hired broker Eric Smith of Paragon Real Estate Advisors Inc. to find a buyer willing to pay $6.5 million for the historic seven-story building. The Prudential was built in 1902 and totals 65,645 square feet. It houses 24 loft apartments and 11 office spaces totaling 15,000 square feet. Architect Ralph Anderson rehabbed it in the late 1980s. It faces Alaskan Way and doesn’t have first-floor retail. Zarett bought it about three years ago to convert to condos. He’s pushing forward on a different project, however, a little farther south in Seattle’s Sodo industrial area. In August he applied to the city of Seattle to turn the former Olympic Cold Storage warehouse into first-floor retail and three floors of offices. Previous PostSo Long to Blue-Collar Zone?